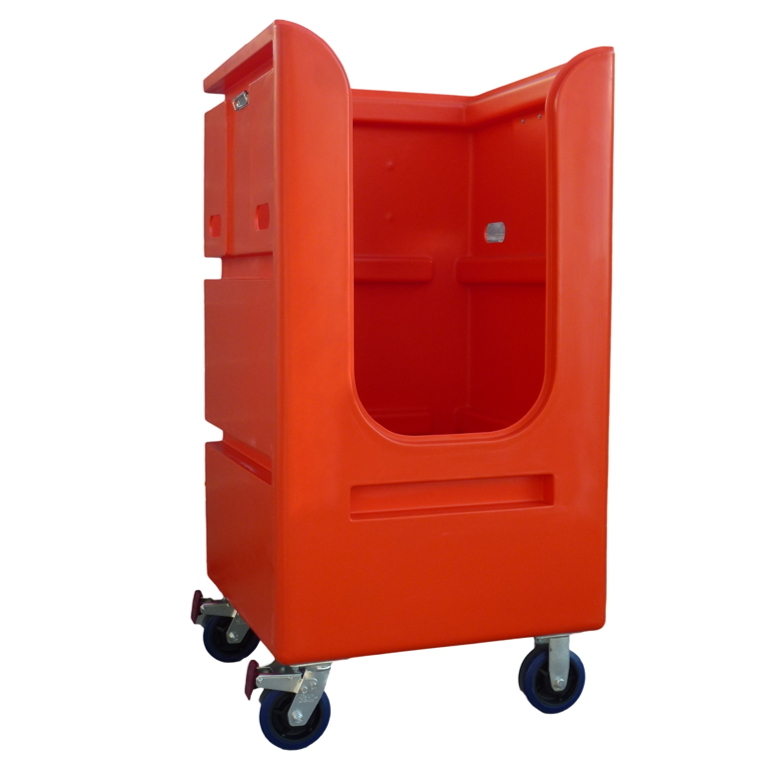 This commercial laundry trolley was custom designed for manoeuvrability and convenient handling of soiled linen. 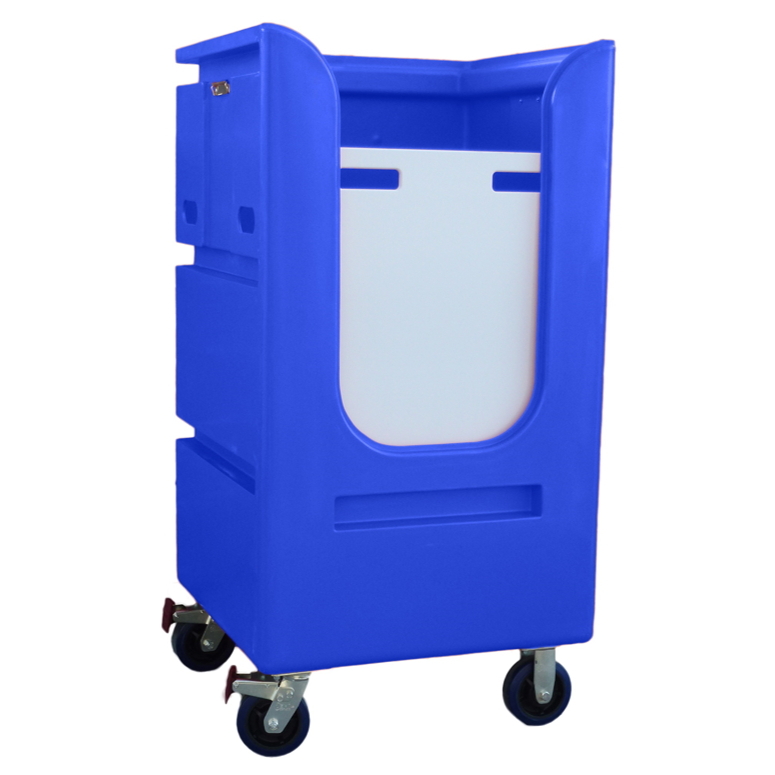 Smaller, narrower profile and high cut design exceed these requirements and render the TLET4 a winner for soiled linen handling! 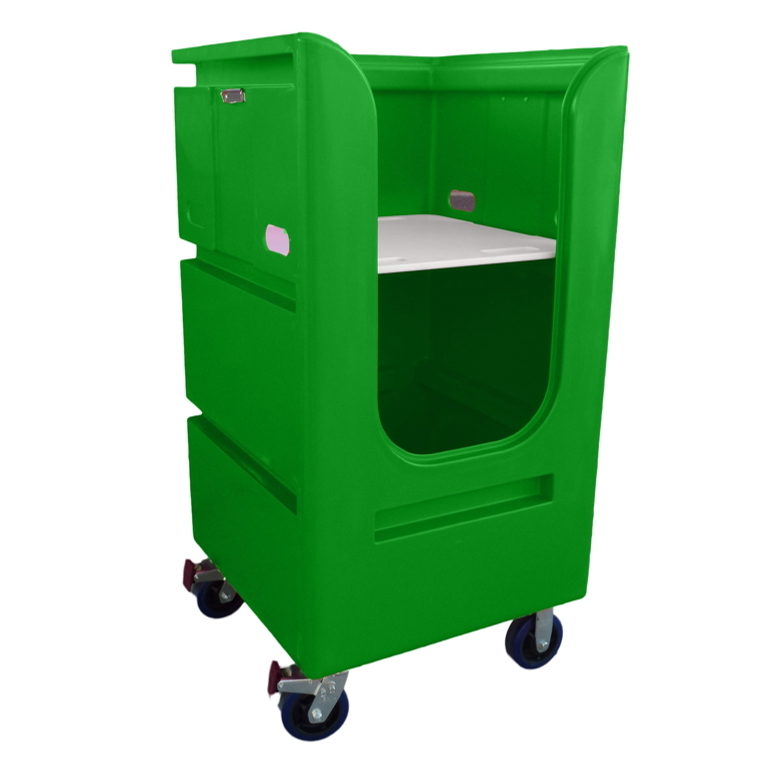 We want to ensure that your tallboy linen exchange trolleys are suited to purpose, match your company branding, and meet your specific requirements. To help us provide a quote that matches your individual needs, please specify by selecting the options below and then add your request to your quote cart. It’s that easy! Be the first to review “Tallboy Linen Exchange Trolley 4 TLET4” Click here to cancel reply.